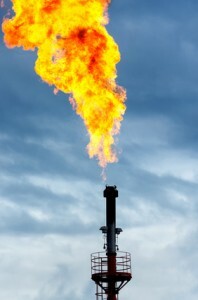 A new study led by researchers from The University of Texas hopes to provide clues to better understand the correlation between well technology and methane emissions during the natural gas production process. The findings, published December 9th in Environmental Science & Technology, indicate that the overwhelming majority of methane emissions are from two types of wells; those that use pneumatic devices and those that use liquid unloading. According to the study, 19% of Pneumatic Devices were responsible for 95% of methane emissions and were highest in the Gulf Coast Region, which was a similar result to the first part of the study conducted in 2013. As for Liquid Unloading, 20% of these devices account for 65-85% emissions. Conversely, this finding showed emissions were highest (~50%) in the Rocky Mountain Region due to the higher number of wells that utilize Unloading. Hopefully this study, and others like it, will provide important data to help industry leaders as they work to create solutions to the growing concern over methane emissions in the Bakken and around the country. To view a full research summary, visit Cockrell School of Engineering.